Wouldn't you love to grab a fresh, juicy peach or a handful of strawberries from your own backyard? 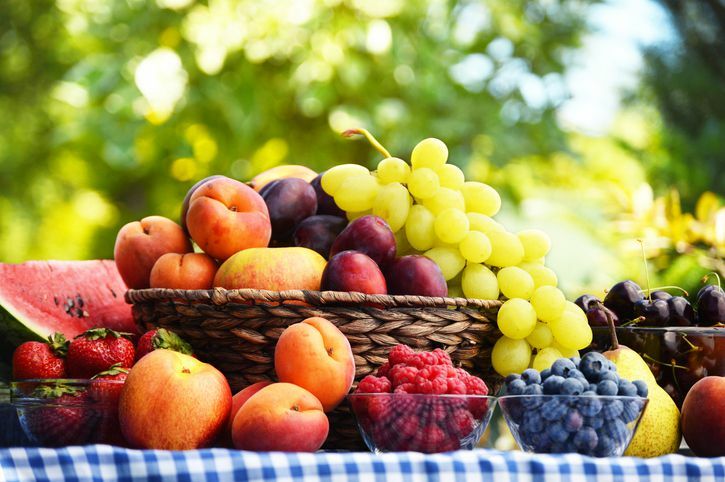 Below are some of the best fruits to grow in your own fruit garden, even if you have limited space. Protection from cold winds and late frosts: Even if your fruit variety is frost-hardy, frigid and drying winds can kill their tender buds, resulting in no fruit for the season. The same can happen when the buds are hit by a late spring frost. You can't control the weather, but planting your fruits in a sheltered location–such as near some type of wind block like a fence or hedge–will help. Berries are an easy way to try your hand at growing fruit. Blueberries are attractive three-season shrubs with pretty white spring flowers, summer fruit, and gorgeous red, fall foliage. Growing blueberries requires some advance work in order to ensure the soil is acidic enough, but the shrubs will live and produce for years. For a large harvest, you will need two varieties for good pollination. 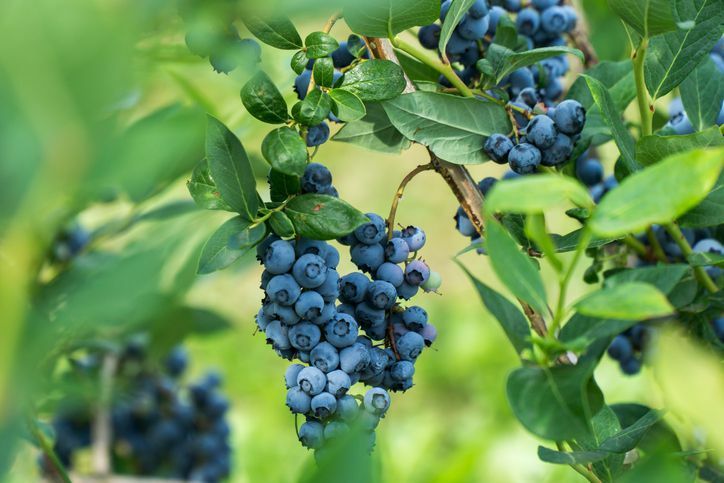 In cold winter climates, grow highbush blueberries, like 'Bluecrop'. Gardeners in mild climates should opt for either rabbiteye or southern highbush varieties. You can also grow blueberries in containers. Freshly picked strawberries are well worth the minimal effort it takes to grow them. You have a choice of three types: June bearing, which sets one large crop in June (nice for preserves and for freezing); Everbearing, which produces two to three smaller harvests per season; and Day Neutral, which continually sets small amounts of strawberries throughout the season. Although strawberry plants are not difficult to grow, the plants don't last forever. Expect to replace or rejuvenate them every three to five years. Raspberries and blackberries have always been backyard favorites, but older varieties could be rambunctious plants, spreading everywhere and being covered in thorns that made harvesting a painful chore. Newer cultivars are much better behaved and thornless. The plants do require annual pruning, to keep them productive, but it is a quick job. Choosing early mid- and late-season varieties will extend your harvest for weeks. Although grapevines are not hard to grow, you will face stiff competition at harvest time from birds and other animals. Grapes need some type of trellis or support to grow on. There are also a lot of recommendations on how to prune them, but many people grow them quite successfully with a much more casual approach. Check with your local Extension office to learn the best varieties for your area and be sure you choose the type you are looking for, either fresh eating or wine making. Everyone wants to grow apples, but they are very difficult to grow well because apple trees are prone to so many insect and disease problems. They also require a great deal of pruning. Although newer cultivars were bred to be less susceptible, they still require some spraying, covering, or other methods of keeping problems out. Nonetheless, they are beautiful, long-lived trees and if you think you're up to the task, there are many choices to try. For easier care, look for a dwarf variety. You will also need two different apple tree varieties for good pollination. To save space, look for trees with multiple varieties grafted onto one trunk or opt for a small columnar tree that can be grown in a container. Cherries are one of the easiest fruit trees to grow and care for. They require minimal to no pruning and are rarely plagued by pests or diseases. Sweet cherries require two trees for cross-pollination unless you buy a tree with two different varieties grafted on it–a great space saver. You can get away with just one tree if you are growing sour baking cherries. Peach trees tend to be small enough to fit in any size backyard. When the peaches are ripening, you can smell their sweetness several yards away. They do require some pruning–to keep the branches productive and reachable–and a bit of thinning the young fruits in order to get a smaller crop of large pieces rather than a heavy crop of tiny peaches. Fig trees are surprisingly easy to grow, either in the ground or in containers. They do not require much pruning and are usually pest free. Most fig varieties are only hardy down to USDA hardiness zone seven, but there are a few newer cultivars that are hardier; also, you could always grow your fig in a container. If you chose to grow your fig tree in a container and move it indoors for the winter, keep the container small. The more confined the roots are, the smaller the top of the tree will remain. You will still get plenty of figs and it will be much easier to move about. If you are not ready for the commitment of a tree or shrub, you can still grow delicious melons in your vegetable garden or in containers. Melons need a lot of sun and heat. They also need a good amount of space. They grow on vines that can easily reach 20 ft. or more. It is possible to grow melons up on a trellis, but you will need to choose a variety with small fruits. Large melons, such as watermelon, become so heavy that they will drop right off the plant. However there are plenty of varieties to choose from.